One of Emory University School of Law’s core values is Inclusivity in the recruitment, retention, and support of students, faculty, and staff to build a community of diverse traditions, heritages, and perspectives. 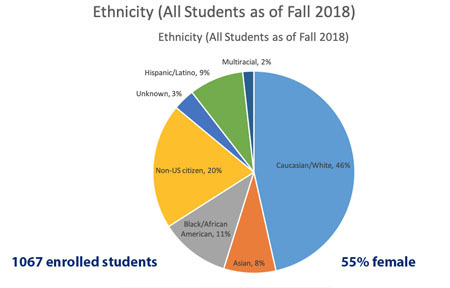 In working to ensure our adherence to that value, Emory Law recognizes the various differences that make our community members unique, and we value those differences for how they help to contribute to the pool of shared learning. Women at Emory Law have long played a crucial role in furthering the prestige of the school, the education of our students, the strength of our community, and the rule of law. 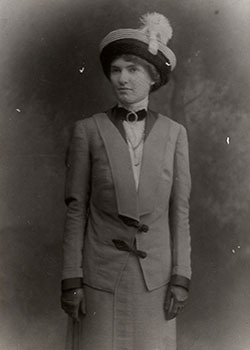 Eléonore Raoul, who enrolled in the School of Law in 1917, became the first woman admitted to Emory University. Today, women comprise more than half of Emory Law's student body. Read a highlight of the contributions women have made in this story. In 1962, two Emory Law alumni pursued and won a court case that integrated private education in Georgia. In a powerful example of how the law can lead to social change, Henry L. Bowden 32C 34L 59H and Ben F. Johnson, Jr. 36C 40L 05H won a declaratory judgment from the Supreme Court of Georgia overturning a segregation measure then in the state constitution that eliminated property tax exemptions for private schools that attempted to integrate. As a result of this victory, Emory was able to admit students regardless of race without losing its tax-exempt status. In 1966, Ben Johnson, then dean of Emory Law, received a Field Foundation grant for Pre-Start, a summer program that was first led by Professor Nat Gozansky and successfully recruited African American students. The Emory concept became a model for a national program: the Council on Legal Education Opportunity. Today, Emory Law is an institution where diversity is the goal. Student organizations span a wide range of cultural, gender, philosophical, faith, and political interests including the American Constitution Society, Asian Pacific American Law Students Association, Black Law Students Association, Federalist Society, Jewish Law Students Association, Latin American Law Students Association, Legal Association of Women Students, Muslim Law Students Association, OutLaw, and South Asian Law Students Association. Our faculty represents the world of legal education, reflecting their diverse interests and backgrounds in the classroom and in their scholarship. Emory University's international acclaim and proactive encouragement of diversity and inclusion adds a multicultural texture to its curricular offerings, student life, and social opportunities across campus. The International Refugee Assistance Project received the 2017 Law School Excellence in Access to Justice Award (group) and 2018 Graduate Student Organization of the Year. Emory Latin American Law Students’ Association (LALSA) hosted the 21st Annual National Latina/o Law Students Association Conference. Nicole Schladt 19L was named the 2018 Chesnut LGBT Person of the Year. Faris Mohammed 19L and Nicole Schladt 19L and won the 2018 National LGBT Bar Association’s Student Leadership Award. Raymond Tran 18L was awarded the first Trinh Huynh 04L Scholarship given by the Vietnamese American Bar Association. "Real Talk with an Attorney," a program held at Emory Law won the 2017 American Bar Association Award for Diversity, Law Student Division. Professor Margo Bagley was selected as an expert participant in the Convention on Biological Diversity's Ad Hoc Technical Expert Group on Digital Sequence Information on Genetic Resources. For the third consecutive year, the Emory Black Law Students Association (BLSA) was awarded the Regional Large Chapter of the Year award at their regional convention in Birmingham, AL. Emory won National Large Chapter of the Year for two consecutive years, in 2016 and 2017. Professor Dorothy Brown was awarded the Clyde Ferguson Award by the Executive Committee of the American Association of Law Schools (AALS) Section on Minority Groups for her work supporting aspiring law professors with guidance and mentorship. Michael Broyde won a Fulbright award to spend the 2018-2019 school year at Hebrew University, studying religious arbitration in diverse western democracies. 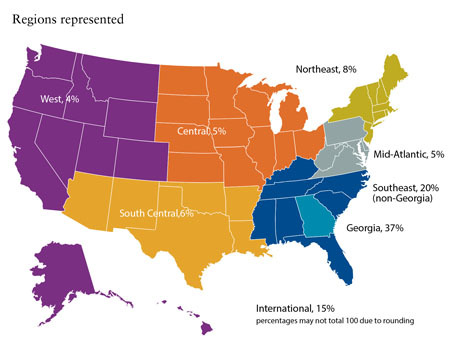 Emory Law is committed to admitting a diverse pool of applicants.